Broken Maintenance Plans? Bleeding Downtime Costs? We are not your typical software company. We are engineers who have built our software based on years of experience in the industry. 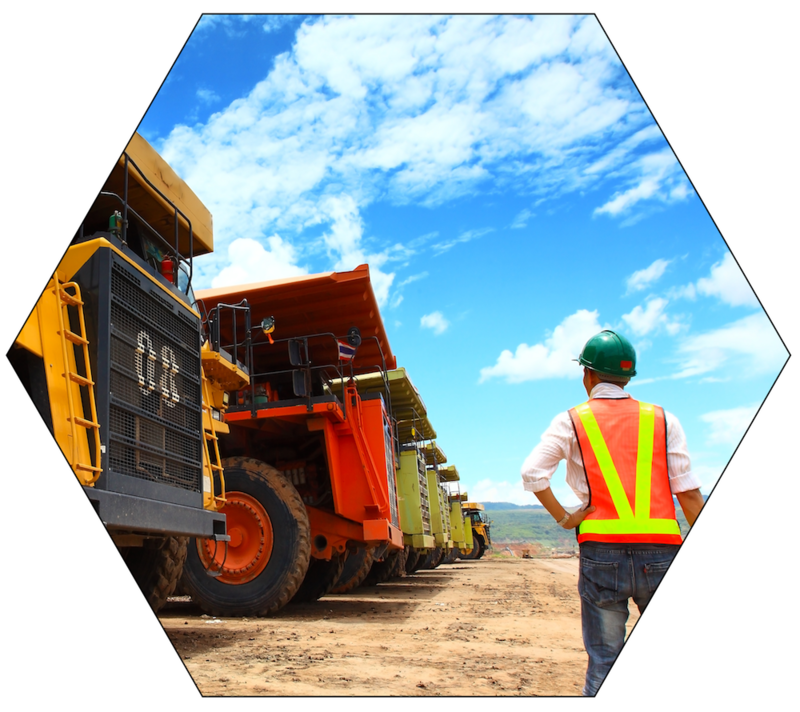 DAAS’ system uses data input from asset, business, and operational systems to automatically monitor asset performance and health, as well as process and procedure adherence, to produce actionable, prescriptive outcomes. 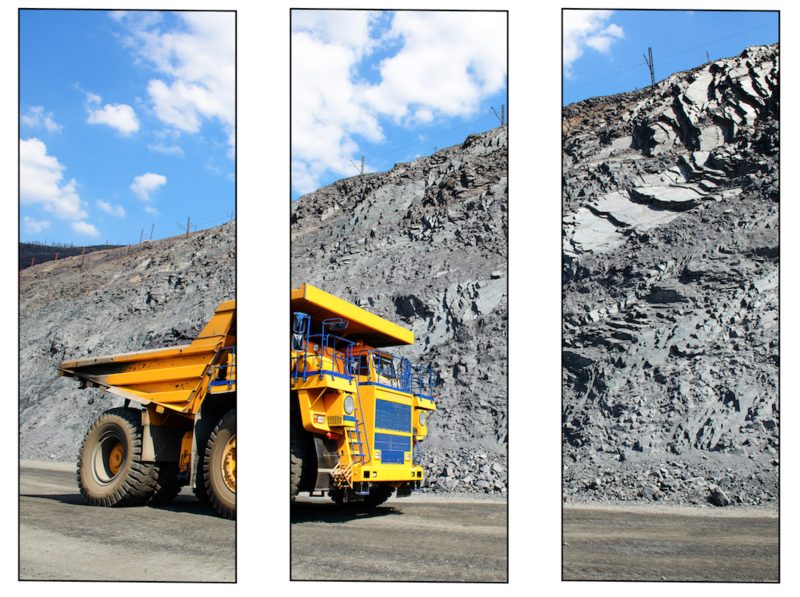 M2M Messaging: Machine to machine system messaging can provide outcome information to the OEM or vendors, the site Safety Team, Procurement, Warehousing, Planning & Scheduling, and the Maintenance and Reliability team members as well as to other AMS applications. M2H Visualization: Machine to human interface options include the DAAS Dashboard, Siemens XHQ Operational Intelligence, and OSIsoft’s PI Vision platforms, among others. M2M system messaging can be incorporated into most AMS visualization products. Secondary Analyses: DAAS supports secondary and forensic analyses using trend analysis tools like the Seeq Trend Viewer. Organizations use the CMMI Maturity model to determine where they are today and where they want to be tomorrow. The need for deeper analytic capability in your organization will grow as your business and operations mature. 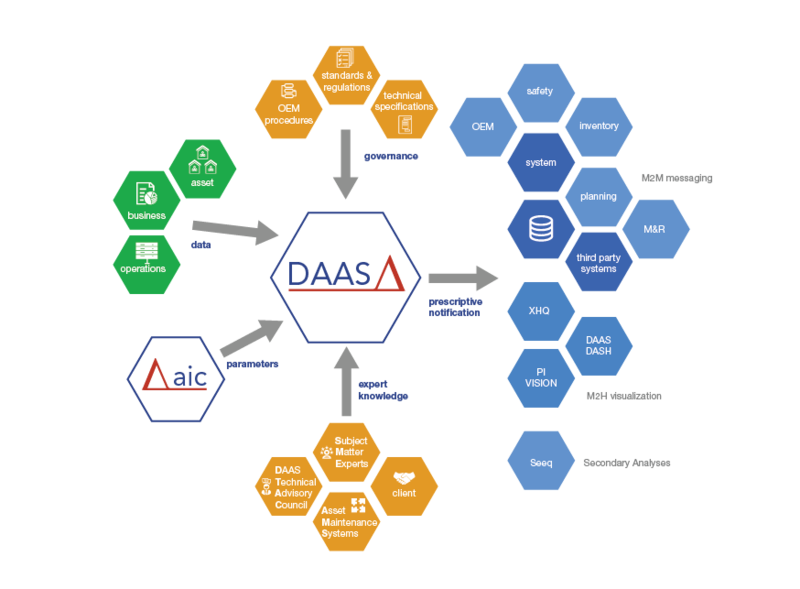 DAAS monitors assets and how they are interconnected. A vibration in a motor will be reported as a vibration in all assets that have a mechanical connection to that motor. This allows DAAS to reach an accurate source diagnosis before reporting. Analyses support is available from multiple sources. Most OEMs and third party analytic companies provide rudimentary capability. As organizational needs change these capabilities often come into conflict with the supplier’s business model and the services drop off. The highly-scalable platform which can be tied into existing workflows and business systems to create a single solution across all fixed or mobile assets. By eliminating the need for multiple vendor systems, your costs for maintenance support, application licensing, and training are reduced significantly. Predictive analysis changes your maintenance strategy by providing advanced asset failure or safety notifications well before the typical OEM-supplied, or third party alarm system capabilities. Prescriptive analysis generates actionable events with the inclusion of the steps required to rectify the problem; a listing of parts required to make the repair; the estimated time required for the repair; and the data points required for secondary analysis and diagnostics. All calculations are executed with no skipped or terminated calculations due to gaps in streaming data. That means no extrapolation and no guesswork. 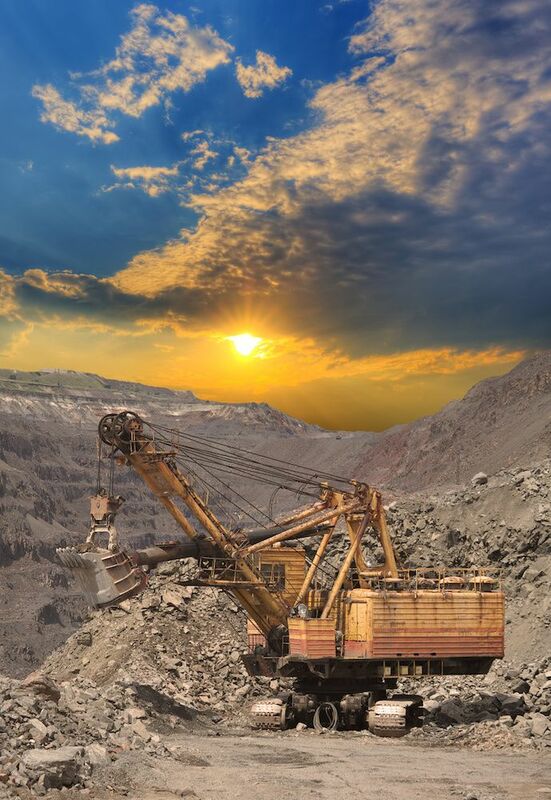 This will extend the lifecycle of equipment, prevent unexpected shutdowns, and allow to perform the right maintenance, with the right parts, at the right time.